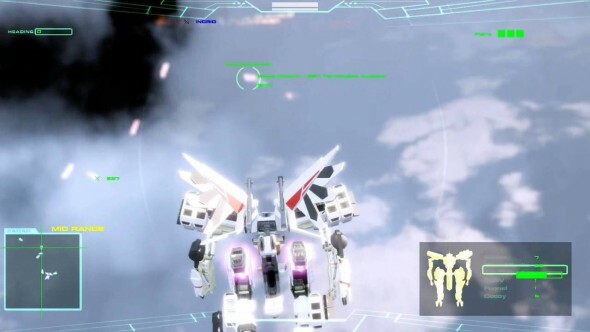 Project Nimbus, which contains fast-paced action gameplay, is a giant robot shooting action game set in a apocalyptic world where people ride in Battleframes, robots designed for the purpose of fighting, equipped with heavy weaponry. In the late years of the 21st century, a great war devastated Earth making it impossible for mankind to survive on the ground. Because of this, humankind had no other choice but to live in the sky. The world is divided into three different factions, where each faction has its personal orbital elevator that absorb energy in order to keep flying cities in the air which the people reform and rebuild all the time. 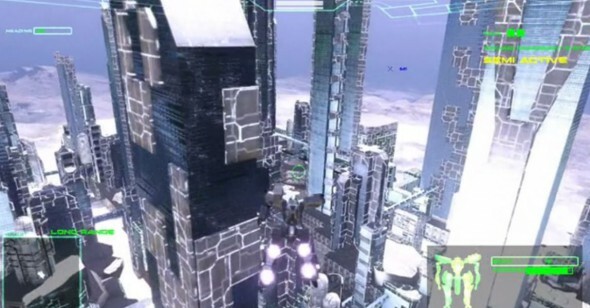 The game is fully featured in 3D, being able to freely move around in the air while riding a Battleframe equipped with 2 different weapons: machine guns and missiles that will eventually widen itself into a bigger arsenal, like lasers and cannons. 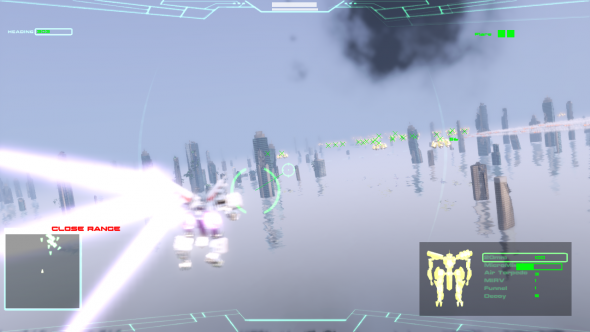 As the game is set in the sky, pilots will be able to hover through the air in every direction they want, speeding themselves up thanks to boosters allowing you to swiftly change directions. This type of movement makes the game very fast-paced, but also very difficult to control as it’ll take a bit of time before getting used to it. You also have the ability to swiftly change your weapons, allowing you to clear up the waves of enemies efficiently. The main purpose of the game is to complete various missions, where you’ll mostly need to defeat fleets of enemies in multiple waves, changing it up to battling gigantic super weapon enemies. There are a lot of types of Battle frames available for you to choose from, unlocking them as you progress through the story missions. They vary from ally Battleframes to enemy Battleframes or even Boss Battleframes. Aside from your campaign, you’ll also be able to play in the survival mode, where you’ll, like the name implies, try to survive fleets of enemies one after the other. Since the game is so fast paced, the difficulty of the game also increased the further you progress. As you unlock new Battleframes to pilot, enemies will also get better Battleframes and offer you more challenge. Especially because there are a lot of things happening on the screen with fleets of enemies trying to take you down. The graphics in Project Nimbus are really well done, except that when playing in a missions, you’ll sometimes have a hard time seeing enemies or determining where the enemies are as they move very fast and are usually small on the screen (except for the super weapons of course). You’ll also notice that the game doesn’t really have a very fluid feel to it, as you’ll definitely notice some missing frames. While the in-game graphics are not too impressive, the cutscenes are very pretty and high quality. Not much is to be said about the sound, except that it does its job while not being too impressive. While the game suffers a little from missing frames, difficult to notice enemies and difficult to handle controls, the game in itself is one that has a pretty good replay value allowing you to keep coming to the game thanks to its various Battleframes and missions. The fast-paced gameplay is very fun and challenging and so it is definitely one to keep an eye out for.